Searching for an e juice to get refreshed while vaping on a hot summer day? If yes, Peach Ice e-liquid by Orgnx has to be in your collection. Sweet juicy peach flavor is accompanied by a cooling menthol that creates an refreshing kick. The inhale will bring you rich fruit flavor of a succulent peach. On the exhale, a frosty menthol will also come into play. Peach Ice nicotine salt will give you a chance to enjoy higher nicotine without an extremely harsh throat hit. 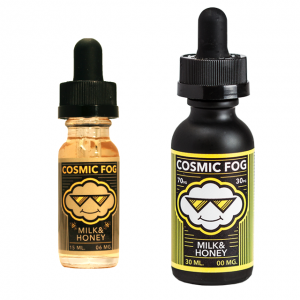 It is available with 35mg of nicotine and 50mg. You can chose a suitable option to satisfy your needs. In comparison to freebase nicotine juices, nicotine salts are absorbed into the bloodstream much faster providing a quicker nicotine satisfaction. Coming in a 30ml unicorn bottle, Peach Ice by Orgnx E-Liquid can be used with pod based devices and other low wattage systems. Pamper yourself with a refreshing peach and menthol mix!